Jurgen Klopp has discussed tonight’s must-win game against Burnley at Turf Moor. With Manchester City winning against Watford yesterday, Liverpool are five points behind and need a victory to maintain pace with Pep Guardiola’s outstanding team. If you think, like we do, that Liverpool can pick up the three points, check out this betbright review and have a flutter. Under Sean Dyche they play defensively rugged long-ball football, something Liverpool have infamously struggled with in previous seasons. With Virgil van Dijk marshalling the backline, and world-class goalkeeper Alisson behind him, our defence is as good as our much-fabled attack. 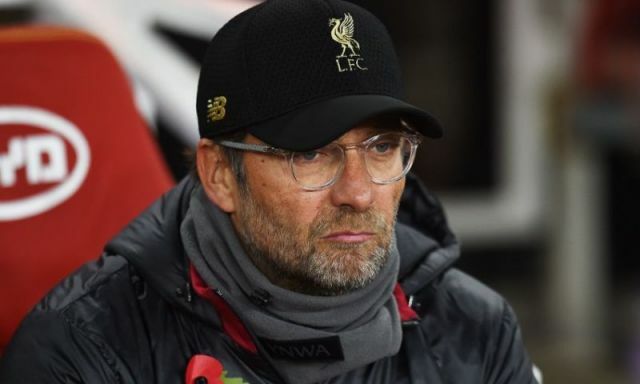 Jurgen Klopp is adamant though that this Wednesday’s clash will be tricky, despite Burnley’s horrible form. The home side are currently 19th in the table and are without a win since September. “We are now all long enough together to know about the specific challenge in a game like the game against Burnley,” he told the official website. “It’s a really tough place to go – since I am in, it was always tough. We don’t think or speak too much about the game before when we go into the next game. Sometimes things are obviously similar or obviously different, stuff like that. We have to make sure we are ready, that was clear before the season, that we have to be ready every three days. That’s exactly what has to happen now. “It’s a tough place. I know of the results of Burnley, but when you make the analysis it is how it is – the situation of Burnley, I think everybody knew before the season it was a big challenge for them with the Europa League qualification. That’s actually a killer competition if you have to play the complete qualifiers through the pre-season and in the early stages of the season. Obviously Burnley’s squad is not made for that, so it was clear that the start would be a bit rusty or whatever. Following the Merseyside Derby, Liverpool have a few telling injuries which will affect the starting XI. Andrew Robertson is crocked and will be replaced by Alberto Moreno at left-back. Sadio Mane has a cut on his foot and is likely to be replaced by Divock Origi, Sunday’s goalscoring hero, in attack. Elsewhere, we expect Jordan Henderson and Naby Keita to come into the side, with Dejan Lovren another possibility to begin at the back.